I couldn't have asked for anything better." LADY ELISE LAYZELL OF GLENCOE, R.N SPECIALIST IN AESTHETIC INJECTABLES AND SKIN REJUVENATION. With extensive education and experience in London and the US, Elise Layzell opened Angles MedSpa in Los Angeles in 2012. Angels Med Spa leads the war against wrinkles offering the latest skin rejuvenation techniques, worthy of every rising starlet in Los Angeles. 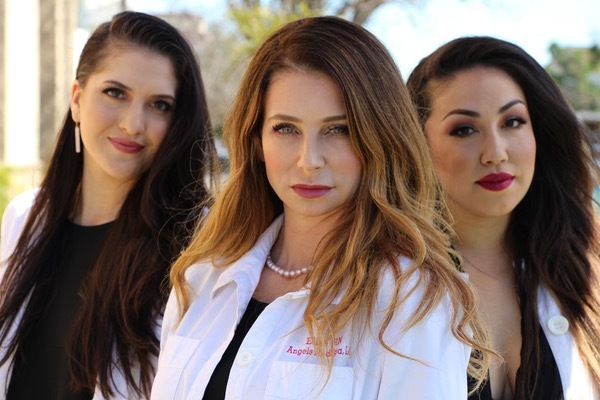 At Angels MedSpa, Elise uses her expert plastic surgery and dermatology knowledge to specialize in advanced injectable treatments from lips to cheeks. She has a special eye for natural facial enhancement which has led her to create a celebrity following. If anyone knows aesthetics and skin care its Elise. With over 20 years experience in the aesthetics industry and training by London’s top plastic sugeons (Patrick Mallucci, Norman Waterhouse, Barry Jones, etc. ), she is the true Angel from the Fountain of Youth. If you call Angels MedSpa, chances are Lucena will be ready and available to answer all of your questions and guide you to a younger, more beautiful you! Lucena attended California State University and got a degree in Broadcasting Mass Media Communication. She is a fully trained makeup artist with over 10 years experience in the field. If you are needing a special look for any red carpet event, birthday party, wedding or just need some tips and advice, Lucena is your go to Angel. 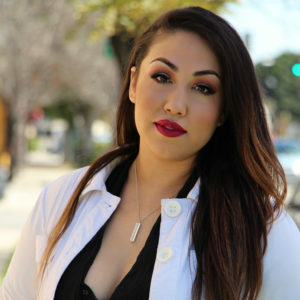 With her extensive knowledge in production, artistry, video editing, marketing and creative directing she became the perfect choice for Angels MedSpa Los Angeles. In 2012, Dr Reiff and Elise Layzell opened Angels Medspa where he is currently the Medical Director. He is board certified with 40 years of clinical practice, and an expert in clinical trials for companies such as Allergan, Pfizer, Suvinon and Merck. 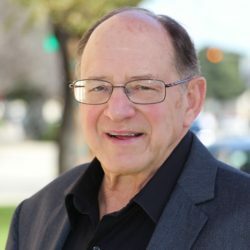 In 2009, Dr Reiff became Medical Director covering Southern California for one of Americas largest corporate laser and skin care companies where he worked with Elise Layzell managing the injectable division. 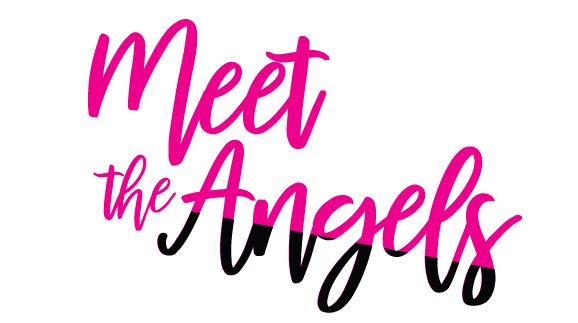 Janai Mercedes has been the Marketing Director of Angels MedSpa since 2014. Janai is a big part of Angels MedSpa and vital to the day to day operations of the spa. Her personal outreach to our patients and knowledge help everyone feel like an Angel. Angels Med Spa leads the war against wrinkles offering the latest skin rejuvenation techniques, worthy of every rising starlet in Los Angeles. A RISING STARLET NEEDS THIS! Angels Medspa leads the war against wrinkles offering the latest skin rejuvenation techniques, worthy of every rising starlet in Los Angeles. Angels medspa is located in the heart of Toluca Lake, surrounded by boutique shops and trendy restaurants and coffee shops. The perfect place to come and relax. Our Angelic highly trained aesthetic R.Ns will always advice and consult our clients so they can achieve the best results possible, we can define on a dime! If anyone knows aesthetics like the back of her hand its Elise Layzell, R.N specialist in Aesthetic Injectables and Skin Rejuvenation, so why not come in and let her lead you to the fountain of youth at Angels medspa where you will leave feeling heavenly with the face of an Angel. Come and book an appointment today! In 2006 Elise decided to head for the bright lights and glitter of Los Angeles. For seven years she was the Regional Nurse Injector for Southern California working for one of Americas largest corporate laser companies, she also worked for dermatology offices in Beverly Hills, before she deciding to team up with her Medical Director Dr M Reiff and open Angels MedSpa, Los Angeles in 2012. At Angels MedSpa she uses her expert knowledge she has gained from working in both the U.K and the U.S to specialize in advanced Injectable treatments from lips to cheeks, she has a special eye for natural facial enhancement which has led her to create a celebrity following. If anyone knows aesthetics and skin care its Elise, with over 20 yearrs experience in the Aesthetics Industry she is the true Angel from the Fountain of Youth. Angels medspa is located in the heart of Toluca Lake, surrounded by boutique shops and trendy restaurants and coffee shops. The perfect place to come and relax. A stones throw from Disney, Warner Bros, Paramount, CBS and Universal Studios and Hollywood is only a hop skip and a jump away. I had a microneedling session with Elise. She went above and beyond to make sure i was taken care of. I already see a difference in my skin and it was nice to be pampered. I plan on scheduling another treatment soon. Elise is AAHHHHHHHMAAAAZZZZZINNNGGG!! After my diamond tip facial EVERYONE was complementing me on how fabulous my skin looked. I can't wait to go back! I was blown away with my results and they are so subtle and perfect, I couldn't have asked for anything better. 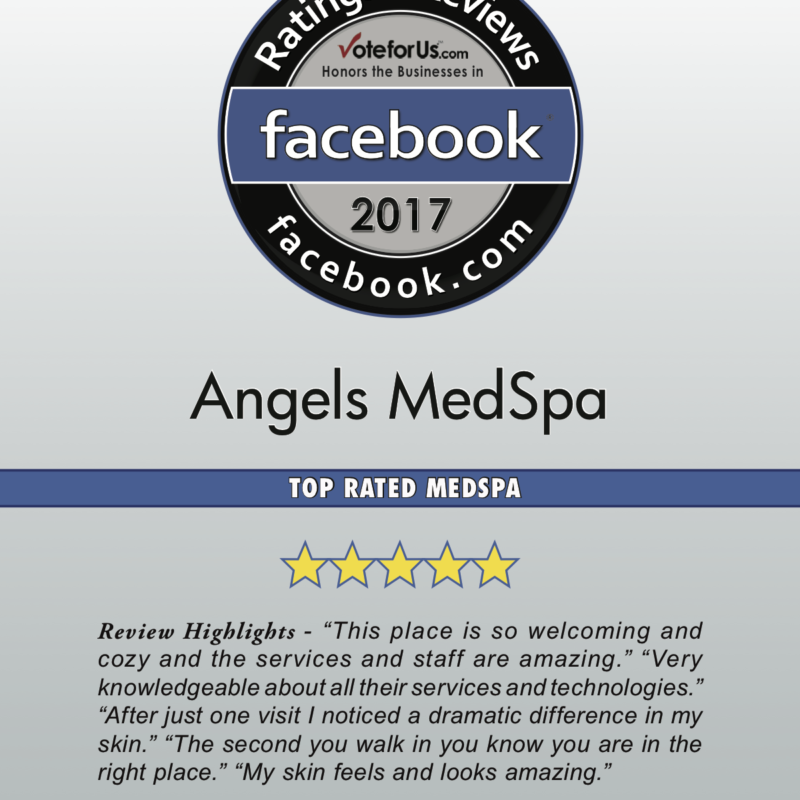 Angels MedSpa is like the best kept secret in LA. I love the ambiance, its gorgeous and relaxing at the same time. I have been going to Angels MedSpa for 4 years now and I popped in for my Dysport last week and Elise did such an amazing job! I LOVE my Dysport!!! What I loved about my experience with Elise is that she was very knowledgable and honest with what was best for me. A very light hand, I barely felt the injections. She was quick and precise. I was very nervous for my appointment and about my results after the treatment. I'm happy to report that I'm absolutely in LOVE with my results! Elise does great work! She listened to all my concerns and answered every question I had. Elise quickly can identify your skins problem areas, present the most cost effective and best treatment options available to meet your goals. I just turned 52 and she knew exactly what to do (and what not to do) for me. She has an expert's eye and touch. So effective, comfortable and clean, I bought my mom here! Elise is fantastic. She knows how to get natural-looking results that ``last``! This is a welcoming, cozy place with pleasant people that never pressure you into getting things you don't need. And of course, their work is great. I just came from Angels MedSpa and can't stop looking at myself in the rearview mirror! Elise did an absolutely amazing job. I couldn't be happier with the results. I LOVE Elise! she is SO wonderful! I have been so fortunate to have met Elise a few years ago and she is actually the only person that has ever done any kind of fillers or facial rejuvenation on me. I would not trust anyone else with my face. Seriously, not joking! Someone had told me about the BRO SPA. Didn't really think anything of it other than a great name!!! So I went to check it out for a chemical peel.....WOW!!! I left there feelin and lookin like a new man!! Elise is an ANGEL! she never does too much or too little. Elise knows what she is doing and if you are on the fence don't be.....you will be in amazing capable hands! you will not regret letting Elise work her magic!